Following last night’s 3-2 win, the Braves improved to 13-2 (+10.1 units) versus the Rockies over the last three seasons, including posting an 8-1 (+6.3 units) at home. Those numbers fit nicely with the fact that Colorado is a money-burning 31-64 (-22.4 units) as road underdogs, including 16-41 (-19.2 units) as road underdogs of +125 to +175. In contrast, Atlanta is a profitable 74-35 (+21.5 units) at home over the last two seasons, including 65-30 (+17.2 units) as home favorites and 38-17 (+14.5 units) as home favorites of -125 to -175. I also like the fact that the Braves are 45-20 (+17.1 units) at home in the first half of the season, 94-45 (+27.5 units) at home versus right-handed starters and 12-2 (+10.2 units) at home following three or more consecutive home games. 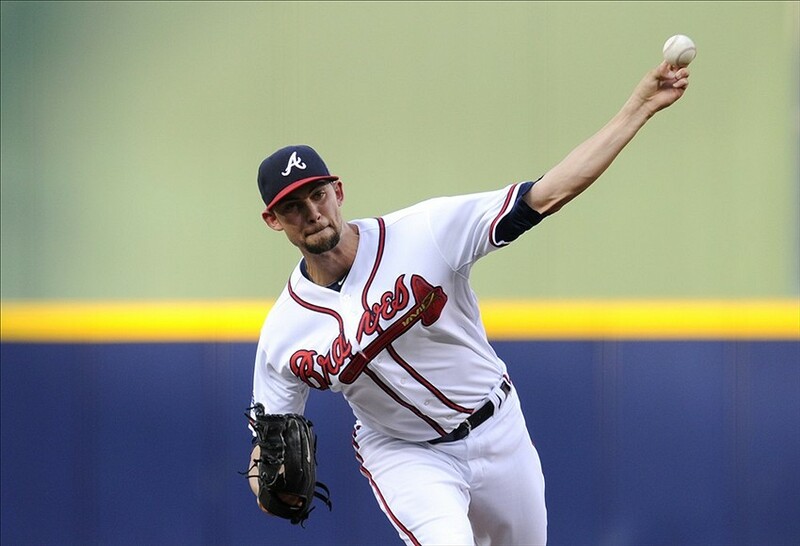 Atlanta southpaw Mike Minor has looked dominant in his past two starts wherein he is 2-0 with a 1.35 ERA. Minor went 13-9 with a 3.21 ERA last season and the Braves expect similar production from the young hurler this season now that he is healthy. “This is what we saw from him last year,” Atlanta manager Fredi Gonzalez said after Minor’s strong outing against the Giants. “Hopefully he can keep giving us these kind of quality starts. Minor was 6-2 with a 3.00 ERA and 1.06 WHIP in eleven day starts last season, and I expect similar success this afternoon against a depleted Colorado lineup. Colorado third baseman Nolan Arenado suffered a mallet fracture on the dorsal side of his left middle finger while sliding into second base last night and will be sidelined for at least one month. Meanwhile, Colorado outfielder Carlos Gonzalez missed his second consecutive game due to swelling in his left middle finger and his considered day-to-day. The stage is set for Minor to secure his third win of the 2014 campaign as he was a perfect 4-0 with a 1.98 ERA and 0.88 WHIP in six starts in May last season. Minor is also supported by an outstanding Atlanta bullpen that owns a 2.81 ERA and 1.20 WHIP on the year, including a 2.25 ERA and 1.11 WHIP at home, a 2.55 ERA and 1.03 WHIP in day games and a 1.61 ERA and 0.93 WHIP over the last seven games. As I have stated recently, Colorado is an entirely different team on the road where the Rockies are 10-15 (-3.8 units) and batting just .251 with a .298 on base percentage (3.9 runs per game). Let’s also note that Colorado is averaging a mere 3.7 runs over the last seven games. Meanwhile, Colorado right-hander Juan Nicasio epitomizes inconsistency as he has alternated between quality starts and non-quality starts throughout the season. Nicasio is 1-2 with a 4.96 ERA and 1.41 WHIP on the road and 1-1 with a 4.66 ERA and 1.34 WHIP in day games. Over his last two starts, Nicasio has yielded eight runs on 14 hits in 12 innings of work (5/1 K/BB ratio). Atlanta investors should also be licking their lips with the fact that Nicasio is 0-3 with a career 9.82 ERA and 2.18 WHIP versus the Braves, including allowing a combined 14 earned runs on 18 hits in his last two outings against Atlanta (9 innings pitched). Conversely, Mike Minor is a perfect 3-0 with a career 3.96 ERA and 1.12 WHIP versus the Rockies, including limiting Colorado to just three runs over his last 20 innings pitched (three starts). Finally, today’s home plate umpire, Lance Barksdale, represents a 60.7% winning proposition for home teams in his career. Over the last three seasons, home teams have prevailed 67.1% of the time with Barksdale behind the plate. Take Atlanta and invest with confidence. Technician’s Corner: Atlanta is 12-1 (+12.9 units) versus teams averaging more than 5.2 runs per game and 9-1 (+9.2 units) versus teams batting .275 or better on the season. Mike Minor is 17-4 (+12.5 units) after allowing two earned runs or less in his previous two outings, while the Rockies are 43-76 (-29.9 units) versus left-handed starters. Finally, Atlanta is a remarkable 18-2 (+16.0 units) after two straight wins by two runs or less.